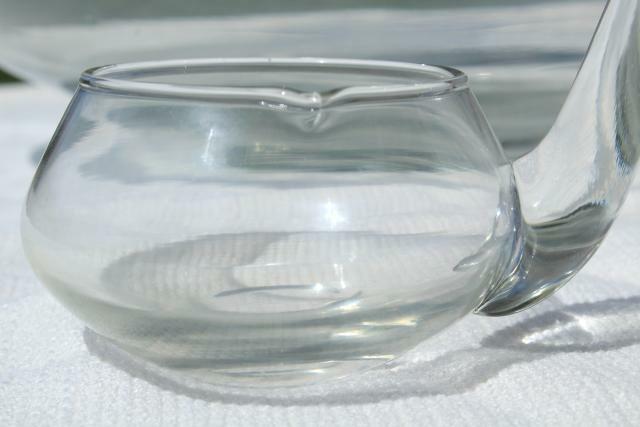 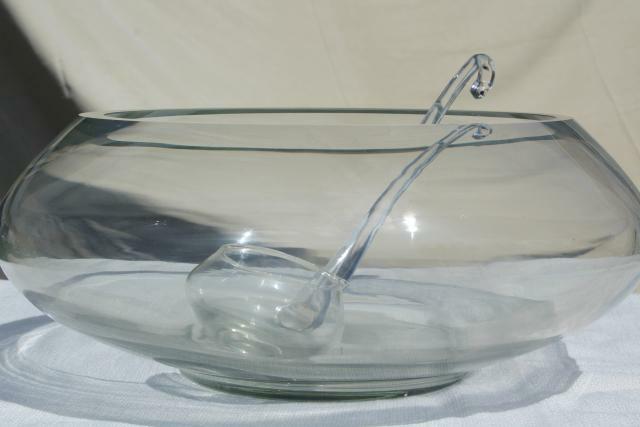 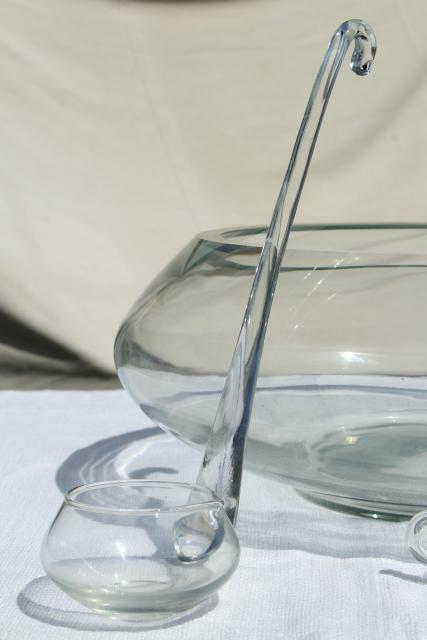 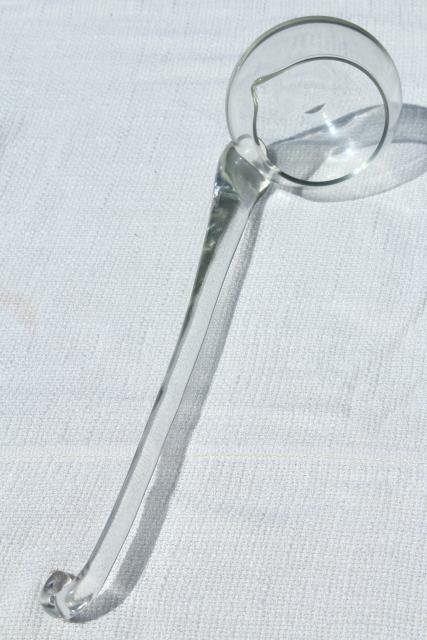 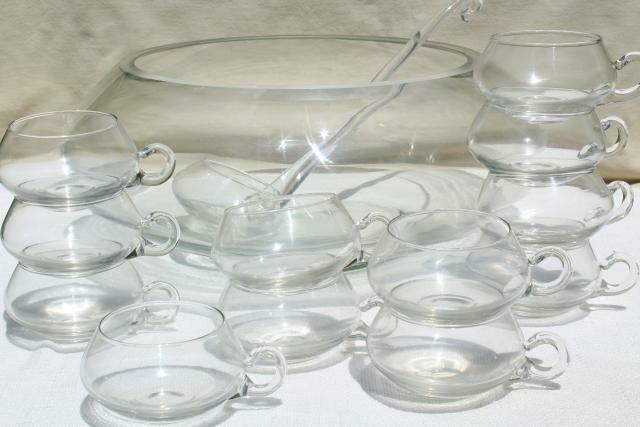 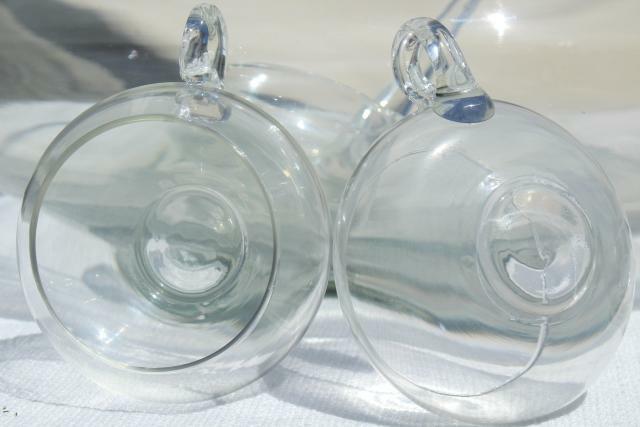 60s or 70s vintage hand blown glass punch set - huge glass bowl, glass ladle and twelve glass cups. 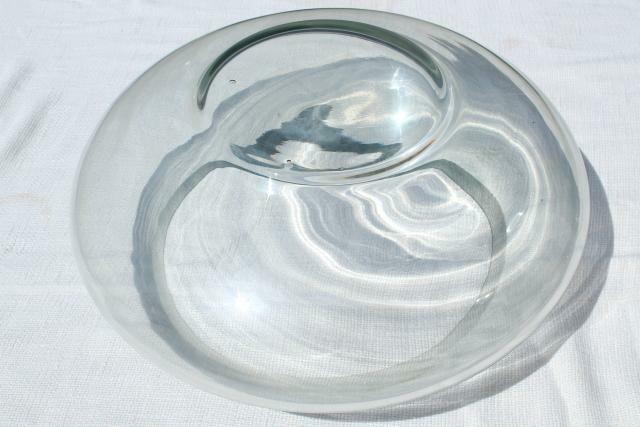 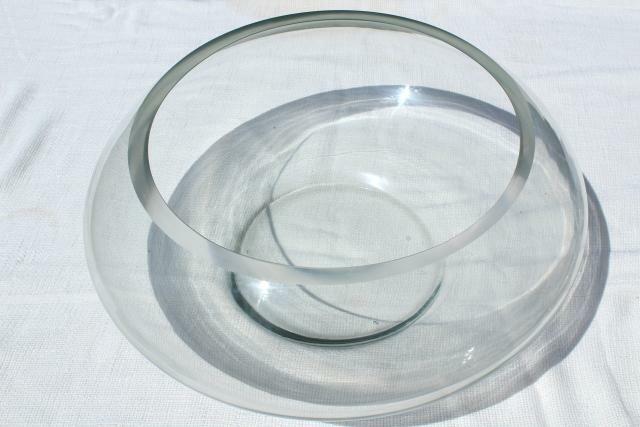 The bowl measures about 15" in diameter x 7". 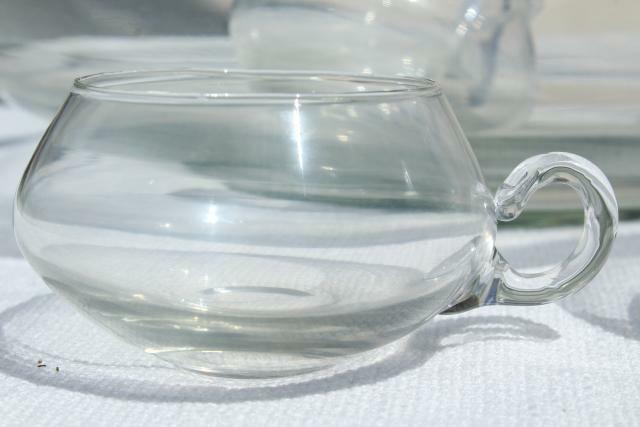 There's very little wear or scratching to the set, and the color is crystal clear. 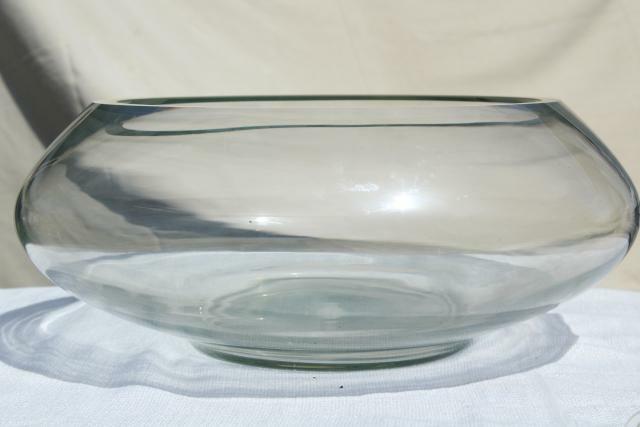 There's a few fleabites and small chips to the sheared rim of the bowl, but all in all it's a great retro set in very usable condition.